If you have more than one computer and a phone or two, it’s a good idea to synchronize them. How to do it? Our favorite method is free up to two gigabytes of stuff. Start by installing Dropbox from Dropbox.com to your phones and computers. From then on, everything you drag into your Dropbox folder is synced with your private Dropbox account on the Internet. If you need a file, it’s downloadable from any device. That’s handy. Just now, Joy tried signing into Bob’s Dropbox account on her computer and voila, there were his files. If something should happen to Bob’s computer, she knows she can recover his files on her machine, or even on her phone. The computer doesn’t have to have the Dropbox app installed. Just go to Dropbox.com, sign in, and get the files. 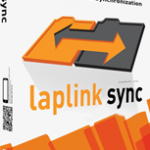 Instead of the free version of Dropbox, you might prefer a $40 program, Laplink Sync, to Dropbox. This synchronizes data between machines and it never goes out to the cloud. This could be a crucial difference. When Dropbox first came out six years ago, they asked us to try it, and we did, and it promptly lost everything we uploaded to their service. Could this happen to you? Now with 100 million users, we have to figure the bugs have been worked out. Still if any information were critical, we would not depend on cloud storage alone. The downside of Laplink Sync is we found it tough to figure out. For example, on our Android phone, it said “Tap ‘Start’ to begin sync,” but there was no “Start.” You had to tap the right-arrow key. Worse, our music was stored in the mtn/sdcard folder. It turned out we had to download a separate app, “Root Explorer,” to find it. On the desktop and laptop, the program crashed twice. Laplink has been in business since the early Stone Age and you would think they could get it together by now, but in some companies nerd committees still reign. You can give it a try yourself with a 30-day free trial at laplink.com. Thanks for trying out Laplink Sync. The start button is visible in landscape mode, but not in portrait mode. We are currently working on a simple UI fix for this to make it easier to use. I’m sorry to hear about the confusion with hidden folders. Our User Guide outlines that some Android devices may transfer files to other folders, but also offers a quick fix to this. Unfortunately, we can’t customize the app to work the same on every Android device and Android version, but we try to make Laplink Sync as easy to use as possible by walking users through the synchronization process in the guide. We appreciate your feedback so that we can continue to improve our software.